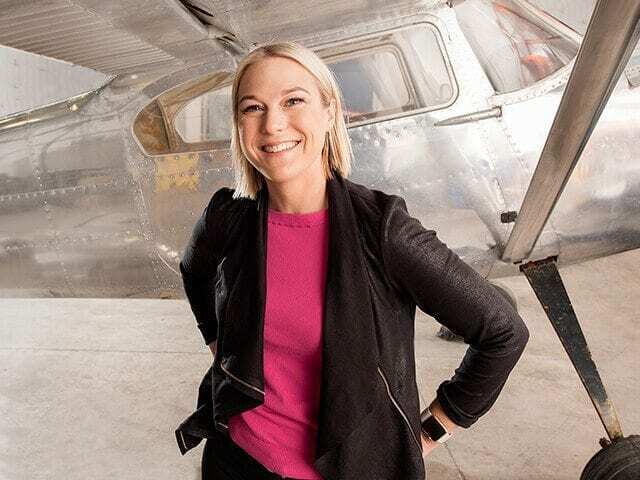 Nicole Verkindt, president and founder of OMX. 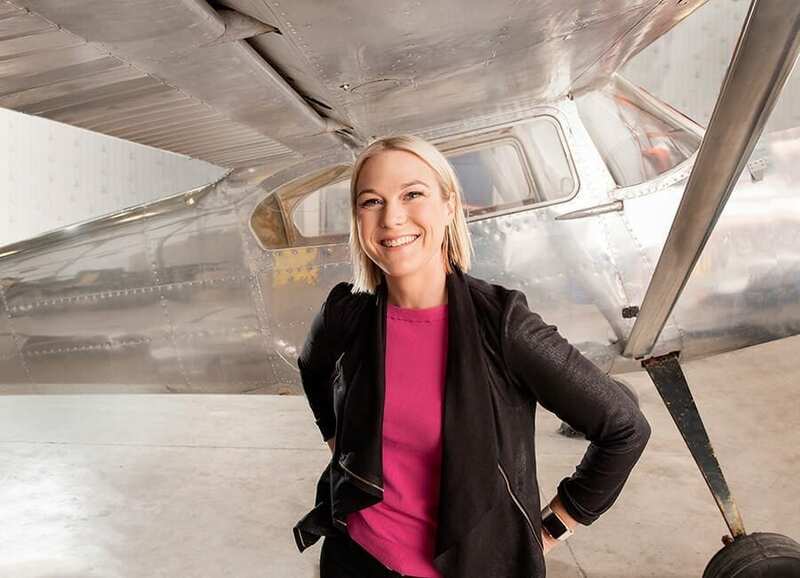 Nicole Verkindt grew up on the factory floor of the defence industry. Back in 2011, Nicole was working at GMA Corp., her family’s defence contracting company, when a private equity firm acquired it. Three years before that, she had grown Tiburon, her own offshore manufacturing business, into a 70-employee self-sufficient machine with $2.5 million in revenue, which eventually morphed into a division of GMA. With new ownership on the horizon, Nicole knew it was time for a change. So she flew the nest. Far, far away. She packed a suitcase and headed to India. “I sold most of my stuff and went travelling around India for six weeks, where I unplugged and thought strategically about the bigger picture, a chance you don’t often get as an entrepreneur,” says Nicole. Travelling through the Indian countryside, she used Facebook to arrange meetings with development shops and hashed out the plans for her next move, thousands of miles away from Guelph, Ontario, where her family business was based. “I guess you could say that my sudden departure was pivotal for me, as it kick-started my current company,” she says. That company is OMX (Offset Market Exchange), an online marketplace that helps government contractors to find and invest in domestic suppliers. Serving as a matchmaker between large aerospace and defence companies and Canadian businesses, OMX helps contractors to fulfil “offsets,” as part of the Canadian government’s Industrial and Regional Benefits Policy. It works like this: the offset policy ensures that Canadian companies and the economy benefit from government procurement. Companies that win government contracts are required to invest funds equal to 100% of the contract value into Canadian businesses. For instance, if Boeing wins a $300-million contract, it must spend $300 million using Canadian suppliers or investing in Canadian technology. Nicole worked out some of the initial visuals and ideas for OMX during her trip in India, and returned refreshed with a vision for the new company. But why tackle the offset market? She had experienced first-hand how companies have a hard time achieving offsets. As part of her role at GMA, Nicole had been working on expanding the family business into new markets, primarily in Canada, Europe and the Middle East. Many countries required GMA to do offsets; in fact, more than 30 countries around the world require offsets in order to gain economic benefits from contracts. In Canada, current offset obligations that come due over the next decade total over $24 billion. However, there was no easy way for GMA to earn business in Canada from foreign corporations through offsets or effectively bid on work globally that required offset plans and fulfillment. She knew there had to be a better way to connect, manage and track the process. The only snag? Offsets aren’t that big of a problem. Brokers and consultants managed to fill the offset gap; they just weren’t doing so efficiently. General Atomics is a defence contractor headquartered in California. The company was well respected, but not so big that it was risk-averse to trying out new technology. It was just what OMX needed to get the big players on board. Today, 80% of defence contractors use the online marketplace. Customers include industry heavyweights Lockheed Martin and BAE systems. As OMX grows, Nicole is now dishing out advice to young entrepreneurs as one of three investors on “Next Gen Den,” an online spinoff of CBC’s Dragons’ Den. Her best advice? Do what you’re good at. That specialized understanding has Nicole moving into new territory: OMX recently announced an expansion into the oil and gas industry. The company will use its existing marketplace to help large oil and gas companies that have been hit hard by the decline in oil prices. The move came from an unexpected place. “With my family business, we often worked with Native Americans in the United States. We had partnerships in North Dakota and Alaska. In Canada, we never had to develop these partnerships,” she explains. In Canada, industries that work closely with aboriginal communities tend to be in the resource (mining and oil and gas) and infrastructure industries. Up until recently, Canada had no requirements for offsets that included impact. It wasn’t until 2014 that the policy was revamped to require a weighted “value proposition” on how an offset would help with job and technology benefits in Canada. In October, OMX partnered with the Canadian Council for Aboriginal Business to drive procurement opportunities to aboriginal-owned businesses. Nicole already has big clientele on the docket, including Suncor Energy and Schlumberger, only a few years after her impromptu trip to India. “Your work as an entrepreneur is never done,” says Nicole. “I don’t like when people say that the business idea is all that matters or that there’s going to be one aha! moment with one big pay day. I tell the entrepreneurs I meet on ‘Next Gen Den’ that if you’re building something important, you should be on it for at least a decade,” she says.